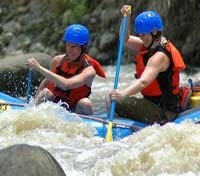 Go whitewater rafting through Class II and III rapids on the rushing Balsa River. 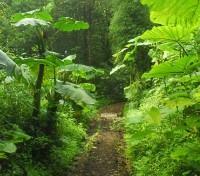 Take a privately guided hike through rainforest to the base of Arenal Volcano. Zip-line through the trees of a cloud forest and meet howler monkeys. 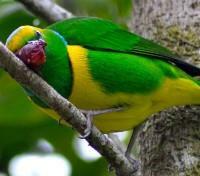 Go birdwatching with a private guide in the shadow of Poás Volcano. Giant volcanoes, misty rainforests, sparkling beaches, and the most incredible array of wildlife you’ll find just about anywhere; Costa Rica is Latin America’s hottest destination for so many reasons. This adventure connects you to the country’s abundance of riches like few others. For your added comfort, you will have an English-speaking assistant waiting for you outside of customs with a sign with your name on it. Your representative will guide you to your luggage pickup and will provide an ID sticker in meeting up with your private driver. A welcome package with your vouchers, a country map, and any other touristic information that we deem you may find useful will be waiting for you upon your arrival at your first hotel on your trip. Meet your driver for a private transfer to Bajos del Toro. El Silencio Lodge & Spa offers a range of complimentary services, as well as activities and spa treatments which can be arranged and paid for in destination. Consider participating in the El Silencio reforestation project by planting a tree on the property grounds, then set out on a self-guided trek dubbed the “mystic hike” where you will pass through a hummingbird garden and cloud forest trails; both of these services are offered at no additional cost. For guests seeking pampering spa treatments, Esencia Spa is a must. 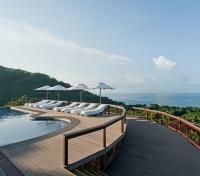 A unique wellness sanctuary that lets you enjoy the best of Costa Rica’s natural healing ingredients, the spa features an al fresco yoga deck and a range of deeply relaxing services. At additional cost, guests are also welcomed to participate in wine tastings, private sundown forest dinners or riverside lunches. For more information, please speak to your Destination Expert. 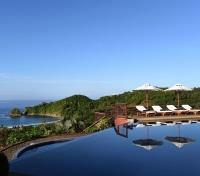 El Silencio Lodge & Spa is a unique retreat, designed by one of Costa Rica’s most prominent architects, Ronald Zurcher. El Silencio provides a seamless natural immersion experience that reflects elements of Costa Rica’s traditional rural farms and countryside homes. The clean lines and the extensive use of wood, bamboo, and glass elements perfectly complement the lush tropical cloud forest. Bewildering lush landscapes are to be enjoyed in stylish comfort. 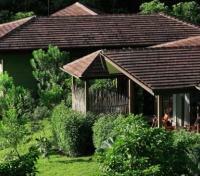 El Silencio Lodge & Spa features sixteen upscale cottage suites interspersed in a tiered layout. This upscale Costa Rican hotel features five hundred private acres of carbon-offsetting tropical cloud forest, hidden waterfalls, a nature-immersed spa, yoga, hiking, meditation, and healthy organic cuisine. The town of Toro Amarillo is embedded in a secluded region of Costa Rica’s central volcanic range. 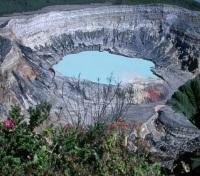 One of its rarest gifts is the Desague River, a singular body of water tinted blue within the depths of Poas volcano. On this private hiking tour, you'll discover this natural wonder as it flows through the landscape, unraveling in a mesmerizing waterfall of sky-like tonalities. For extra-adventure, you can take a soak in a refreshing cold water natural pool.. This storybook private dining experience lets nature’s gifts commune in a unique celebration of love. A suspended bridge softly drapes above the rivers’ infinite flow, inviting the couple to enter the forest as the sun seeks distant horizons. Accessed by a hidden path, an al-fresco wooden deck sets a private stage. Surrounded by torches and accent candles, an impeccably laid out table is shrouded by lush greenery and serenaded by the nearby stream. A chef will dazzle with delicious courses, prepared and served on the spot and featuring exciting tropical flavors and textures. Perfect for honey-moons, anniversaries, special proposal, or for those seeking a unique dining experience. El Silencio’s own trails are peppered with the area’s most exciting feathered species. Minute hummingbirds, threatened black guans, and elusive quetzals will provide thrilling glimpses and exciting photo opportunities. Perfect for everyone, from newbies to experienced birding enthusiasts. The tour departs from the main building at 6:00am. Meet your private driver for a transfer from Bajos del Toro to Arenal. Transfer time is usually 1.5 hours. 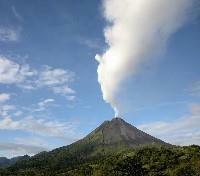 You will be picked up from your hotel and transferred to the Arenal Volcano. Here, take part in an easy, serene hike with your naturalist guide and experience the dense foliage inside the lush rainforest at the base of the Arenal Volcano. Inside the park your guide will help you spot wildlife and explain the history of the volcano as you explore the trails in search of encounters with sloths, snakes, spiders, lizards, coatimundi and the incredible variety of tropic birds native to the area. At the end of the hike, enjoy the view from a lovely vista, complemented by an ice-cold beverage. Be sure to have your camera ready! The duration of this tour varies based on your interests and energy levels lasting as little as two hours, or as long as three hours. At the end of this excursion you will be returned to your hotel. A world class resort featuring spectacular hot springs, picture perfect views of Arenal Volcano and four superb restaurants, The Springs Luxury Resort & Spa is a top choice for guests seeking a deeply relaxing Costa Rican vacation, wedding, or honeymoon. 28 mineral laden, artesian hot springs are spread across a sprawling and exotic property, while a spectacular, oversized spa and fitness center offer a comprehensive range of treatments and therapies. Guest rooms are spacious, modern and inviting, featuring earthen tones, fresh linens and views of Arenal Volcano. Award winning, the resort has received several certificates of excellence from Trip Advisor and was the host hotel for ABC's The Bachelor in Costa Rica. After a hotel pick-up, transfer to the starting point of this thrilling white water adventure featuring class II and III rapids alongside expert river guides and like-minded rafting enthusiasts. Discuss rafting responsibilities and paddle commands during a safety orientation and then feel the grip of adrenaline as you race down the Balsa San Carlos River to battle the currents for two to three exhilarating hours, navigating rapids including the Magnetic Rock and the Dredges. Halfway through the excursion, take a break on the river banks to enjoy both the beautiful tropical setting and a light snack before carrying on through the torrents. Upon completion of the circuit you will change into dry clothes, and then head to a nearby estate to enjoy a tasty Costa Rican lunch and recount your days adventure with fellow rafters. Following lunch, you will be returned to your hotel. Please be sure to wear easy dry clothes, a bathing suit and secure shoes (sport sandals or water shoes are recommended) and to bring a spare set of clothes to change into after the adventure. 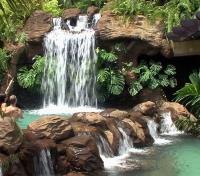 Be sure to save some time to enjoy the natural hot mineral springs, pools and waterfalls at The Springs Resort and Spa. There are eighteen landscaped pools which provide great views of the volcano. With temperatures ranging from 83˚F to 103˚F and environments that vary from raging waterfalls to tranquil forest experiences, you are sure to find the perfect pool for your mood and the current weather conditions. Separated into two distinct areas, Las Lagunas encompasses two acres of lush landscaping and an assortment of multi-level sun and shade terraces surrounding twelve pools, ranging in temperature from 83˚F to 103˚F. Perdido Springs is a connected system of trails and seven spring fed pools located within a forest canyon just a short walk from the lowest level of the Las Lagunas pools. The trail to these Hot and Cold Springs, called the Heliconia Walk, is lined with 150 different species of flowering Heliconias along with beautiful rainforest trees, plants and vines. In the center of these pools is a small jungle bar called Los Perdidos, along with a water flume called the Monkey Slide. 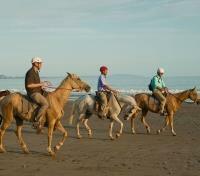 Hop aboard a privately driven vehicle for today’s provided transfer between Arenal and Punta Islita. The approximate transfer time is 6 hours. 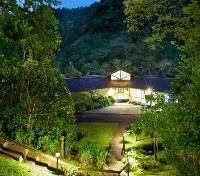 Inaugurated in 1994, Hotel Punta Islita bears the design of Ronald Zurcher, a prominent Costa Rican architect. The tiered layout gazes upon Islita Beach and the namesake islet that separates from the mainland during high tide. Hotel Punta Islita features an infinity-edge freshwater pool for adults, two restaurants, one conference room, a unique Spa, an executive golf course, tennis courts, and an ocean-side family beach club with a freshwater pool and lounging gardens. 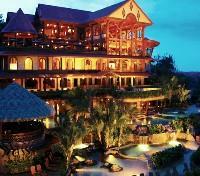 The hotel enjoys a privileged location along the sunny Nicoya Peninsula in Costa Rica’s Guanacaste Province. Regarded by author (and favorite TED Speaker) Dan Buettner as a Blue Zone, Nicoya is one of the five regions in the world where healthy longevity is most common. 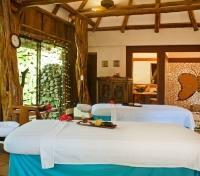 Embedded in lush tropical gardens, Hotel Punta Islita's Casa Spa is the hearth of pampered wellness and relaxation. From the moment you are greeted with a soothing cup of just-brewed herbal tea, you will feel the warm glow of its homelike ambiance. Casa Spa is a unique haven for holistic wellness. Beauty rituals, Costa Rican traditional healing arts, and local herbalist wisdom are artfully combined to gently relieve modern stress. Casa Spa's ample selection of treatments offers options for the whole family. Consider availing of one of the signature treatments during your stay (additional cost and payable onsite). 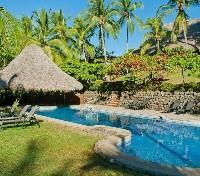 Hotel Punta Islita is located along the sunny Nicoya Peninsula in Costa Rica’s Guanacaste Province. Hotel Punta Islita bears the engaging design of Ronald Zurcher, a prominent Costa Rican architect. The tiered layout capitalizes on the property’s hilltop setting, gazing upon Islita Beach and the namesake islet that separates from the mainland during high tide. Hotel Punta Islita’s facilities are interspersed in a 300 acre property and include an infinity-edge freshwater pool for adults, two restaurants, a unique Spa, an executive golf course, tennis courts, and an ocean-side family beach club with a freshwater pool and lounging gardens. 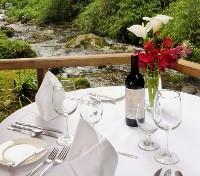 All accommodations stand out for the impeccable details that fully reflect Costa Rican culture and hospitality. 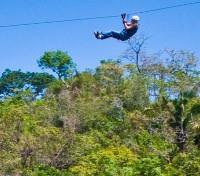 Soar through the forest canopy while safely suspended from a steel cable zipline! Hotel Punta Islita’s tree-friendly adventure is set on ground platforms and crisscrosses a deep canyon for spectacular views and a generous rush of adrenaline. 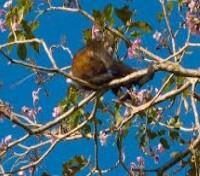 The raucous howler monkey is among the largest monkey species in the Americas. Its whooping growl can be heard over a 3 mile radius, securing its status as the loudest land animal. Highly social, howler monkeys travel in groups of up to eighteen members. Your group guide will bring a spotting telescope to better enjoy a close-up look at these fascinating creatures. Spend today at leisure enjoying the facilities at Punta Islita hotel. From the infinity-edge freshwater pool to a unique Spa, an executive golf course, tennis courts, and an ocean-side beach you're sure to enjoy yourself! Choose from a variety of adventures during your stay at Punta Islita. 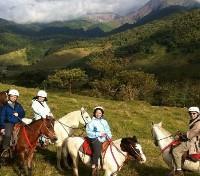 Active adventures include: hiking, zipling, horseback riding and surfing. Wildlife adventures include: monkey quest, sea turtle exploration (Seasonal), bird watching and dusk hikes. Local Culture includes: art, cooking lessons and community interaction. All activities listed are subject to additional fees. Please let your Sales Advisor know if any of these activities are of interest. Meet your driver for a private transfer to Liberia.